Xelas Energy has implemented the IEC 60870-5-104 to IEC 61850 Gateway product. The Gateway is a seamless addition to the Xelas Energy 61850 Product family. 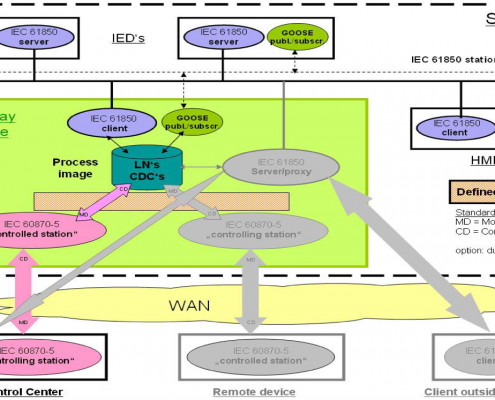 The Gateway acts as a 60870-5-104 controlled station and maintains seamless connectivity to an IEC-61850 IED. IEC 60870-5-104 is a telecontrol protocol in electrical engineering and power system automation applications, based on TCP/IP, in use by many SCADA (Supervisory ControlAnd Data Acquisition) systems. 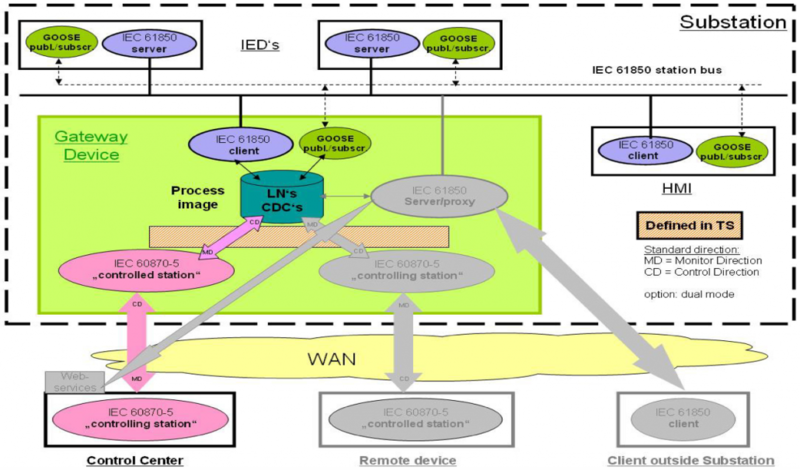 In case where a SCADA system or the underlying infrastructure can not be updated to support a full IEC61850 interface to the equipment, a IEC 60870-5-104 to IEC61850 gateway is necessary. Dual mode: Supports regular IEC61850 operations via separate interface, as well as 60870-5-104 gateway conversion mode.